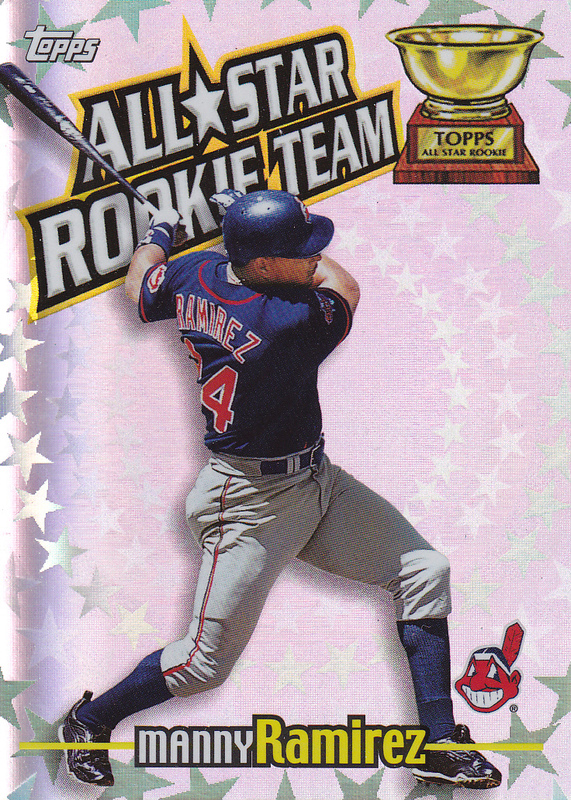 Another completed insert set – this one is probably the first card set where Topps specifically paid tribute to the historical Topps All-Star Rookie teams. 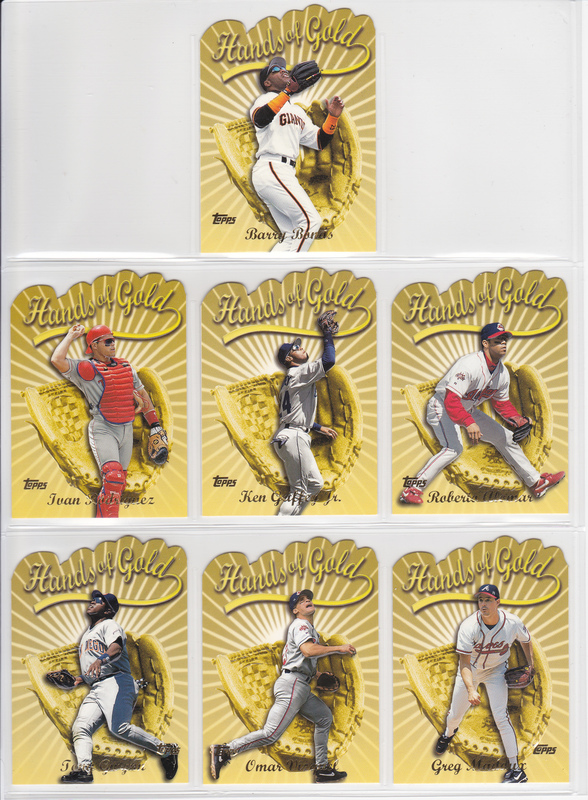 Set description: This set has the shiny backgrounds like so many 2000 Topps inserts do. 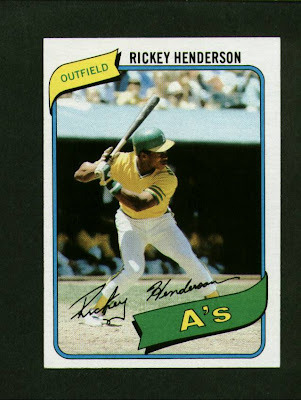 But this is one of the cooler sets in the product – Topps picked the best active All-Rookie players, one at each position just like they pick each year. 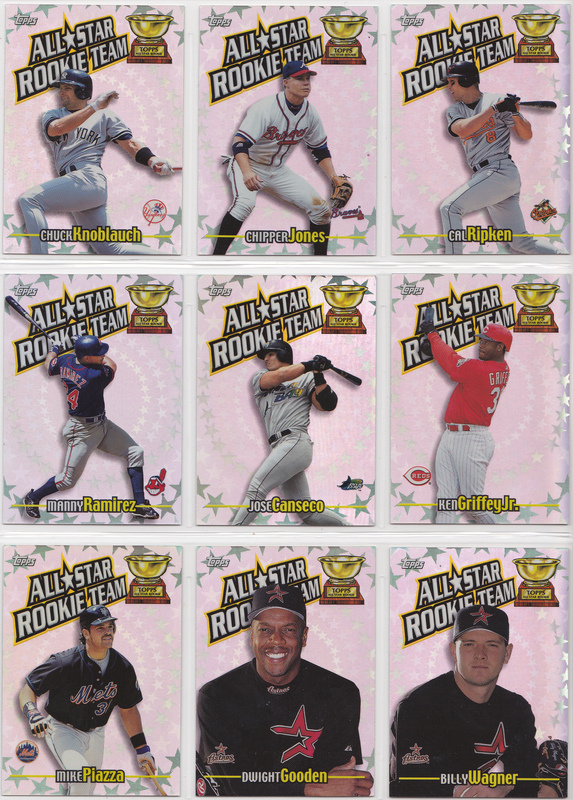 The back has a list of every Topps ASR team member from each position. Thoughts on the set: One of the better inserts is my favorite insert set from 2000 Topps. I like the design, and its cool that the back has the history of the award at the selected player’s position. 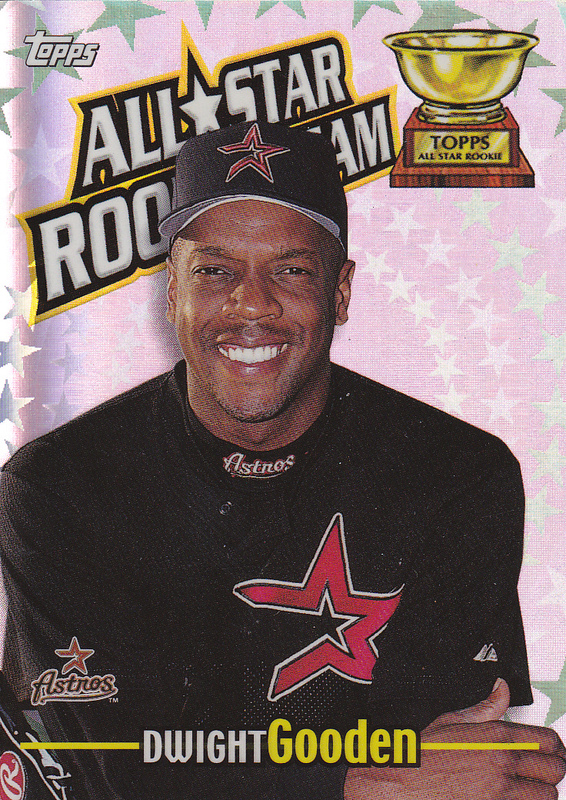 Doc Gooden in an Astros uniform. I can’t say I remember that – apparently he pitched one game for them in 2000. I think this (and the parallels) were his only card with the Astros. 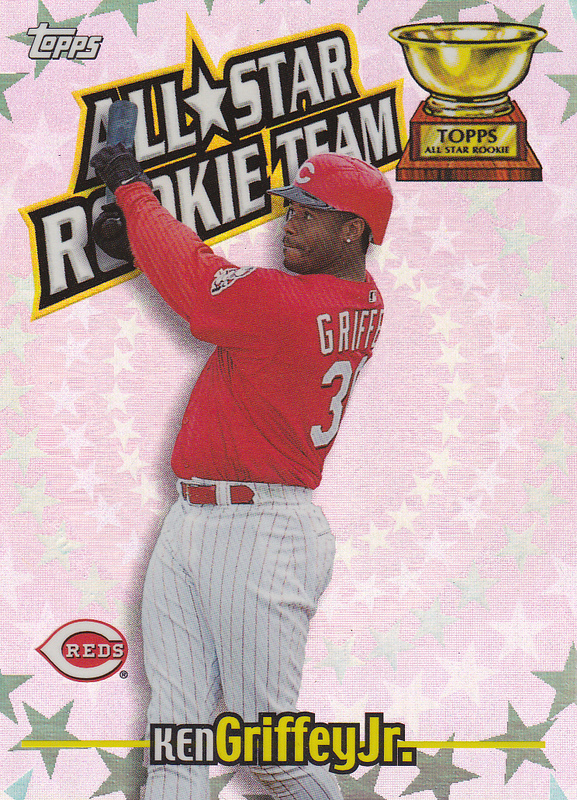 My Favorite Reds card: #RT7 – Ken Griffey Jr. The only one in the set. Here’s a scan of the whole set. 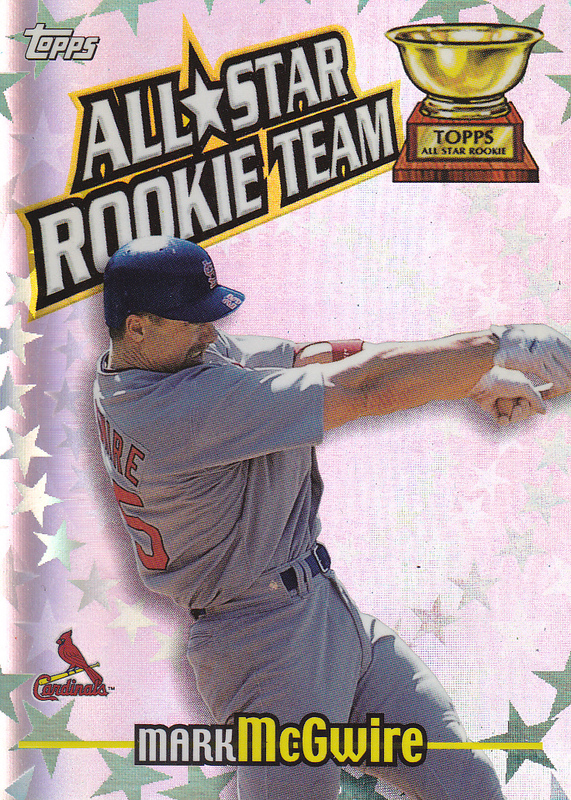 Any other tidbits: Ripken is the only player to make the ASR team twice. It’s a really tough thing to do – because you have to be rookie eligible and in theory you can only do that once. Ripken made the team in 1981 when he hardly played, but there just wasn’t much as far as rookie shortstops. 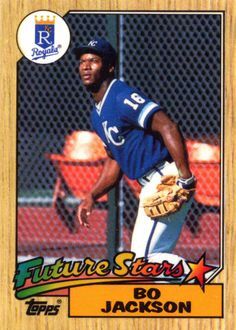 Then he made it in 1982 when he was the AL Rookie of the Year.